DAVID LE/Staff photo. 5/12/15. 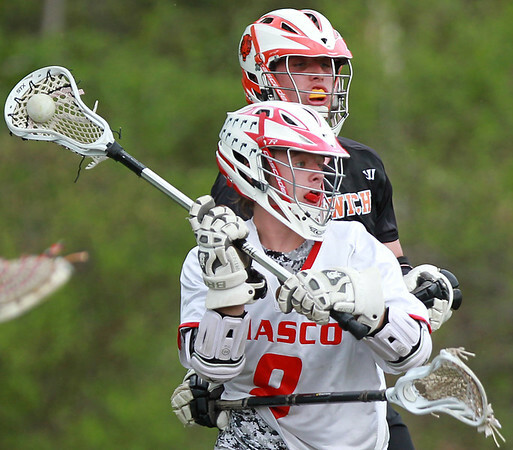 Masco senior Harris Moody (8) takes a shot while being tangled up with an Ipswich player.